Boil potatoes till soft, then drain, peel and quarter potatoes. While still warm, toss potatoes with Italian parsley, chopped garlic, olive oil and kosher salt, then serve. *This dish beautifully complements the Italian halibut. 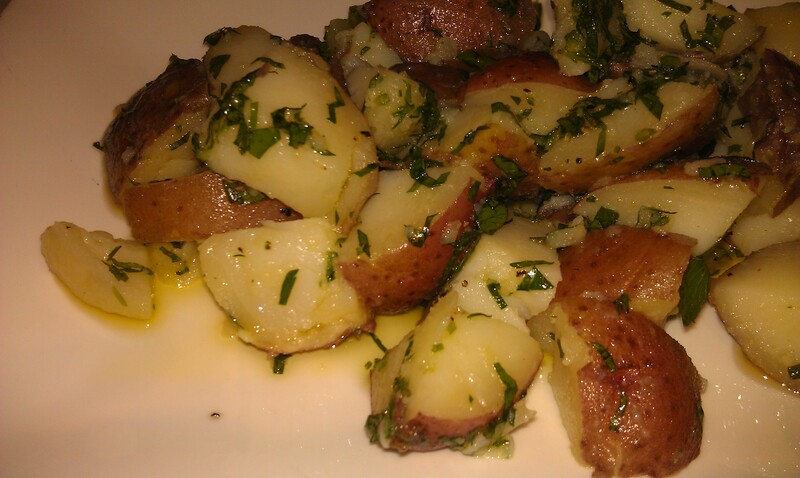 Healthy tip: Lots of parsley and just a little olive oil enhance the nutritional value of these delicious red potatoes. Leave on a bit of skin for extra fiber. quick and easy to prepare and a most refreshing change to the standard potato salad. love it. Glad you like it! It works well with any dish. Enjoy!